Adult Stem Cell Research has been shown to be highly beneficial when it comes to rejuvenating the body. Adult Stem Cells are those cells produced in the bone marrow and are designed to replace dying and damaged cells that need repair. You probably know that when you cut or bruise your body it repairs itself, usually with these adult stem cells. These are different to embryonic stem cells which are more concerned with the growth of the body during the foetus stages of life. 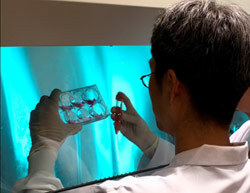 In fact everyone has adult stem cells as it is a natural part of life and part of the bodies tissue repair program. This research has culminated in a product called SE2. The advancement in Cellular Renewal here is the introduction of, stem cell nutrition SE2 which has been found to support the body's natural renewal system. After some considerable research, this advanced formula brings a longer-lasting formulation that helps the body maintain and repair tissus and organs. Basically, the SE2 stem cell nutrition program works by promoting the release of more adult stem cells into the bloodstream. The production of the body's natural adult stem cells which results in body cell replacement of poor and sick cells with healthy ones. When the adult stem cells are released into the blood stream, they begin work on the unhealthy tissues of the body replacing the old cells with fresh new ones, This is a natural mechanism of the body and SE2 increases this activity to a noticeable difference in the healthy and well being of the body. And I can attest it works like a dream.